Your ability to develop and maintain meaningful relationships is often a primary source of satisfaction in life. However, oftentimes conflicts arise stemming from both external (career and financial stress) and internal sources (patterns and ways of relating). Emotional distance, power struggles, sexual difficulties, and struggles for control can all impact the stability of the relationship and leave you worried about the state of your relationship. Your relationship can then become a source of stress instead of a source of support. It can become routine and boring instead of passionate and exciting. Couples can have a hard time communicating, lose their sexual connection, get stuck in patterns of fighting, and grow apart. 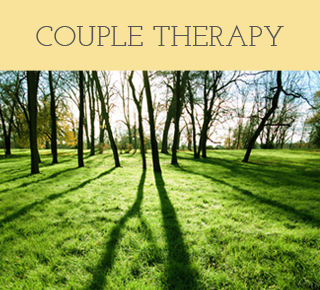 When conflicts interfere with a couple’s ability to enjoy each other, couple therapy can often help. Couple therapy can address the feelings of hurt, anger, resentment, and loneliness by allowing both members of the couple to feel heard and understood. Together, we can discuss effective ways of communicating, re-ignite your chemistry, promote empathy, and rediscover your bond and your love. Together we will explore each of your thoughts, feelings, and goals in order to improve communication and reduce misunderstandings.